Did you know that in 1864 General Grant ordered that cranberry sauce be served to the troops during the Civil War? Or, that in 1912 Ocean Spray began canning cranberry sauce? The cranberry is certainly a beloved American berry that sits prominently at the Thanksgiving table. Here is a recipe for a Cranberry Conserve that is tasty enough to be served at any time of the year. The Cranberry Conserve recipe I chose was published in 1911 in Good Things To Eat, As Suggested By Rufus; A Collection Of Practical Recipes For Preparing Meats, Game, Fowl, Fish, Puddings, Pastries, Etc. by Rufus Estes. The cookbook writer is a really interesting person so I am going to tell you a bit about him before we move on to the recipe. Rufus Estes was born a slave in Tennessee in 1857. After the civil war was over, while still quite young, he worked at various jobs to help support his family. He milked cows, carried dinners out to laborers in the fields, was employed in a restaurant, and then, in 1883, he began work as a private car attendant for the Pullman Company. He was assigned the task of taking care for special parties which brought him into contact with many prominent people such as Presidents Cleveland and Harrison. In addition, Estes also worked for private individuals serving them in their own personal train cars. As result of this job and from his experience as a chef, Rufus learned a lot about good food and his cookbook is a testament to his experiences. Here is Estes's recipe - Enjoy! To three and a half pounds of cranberries add three pounds of sugar, one pound of seeded raisins and four oranges cut in small pieces after peeling. Cook gently about twenty minutes, add one pound walnut meats, and cool. 1. 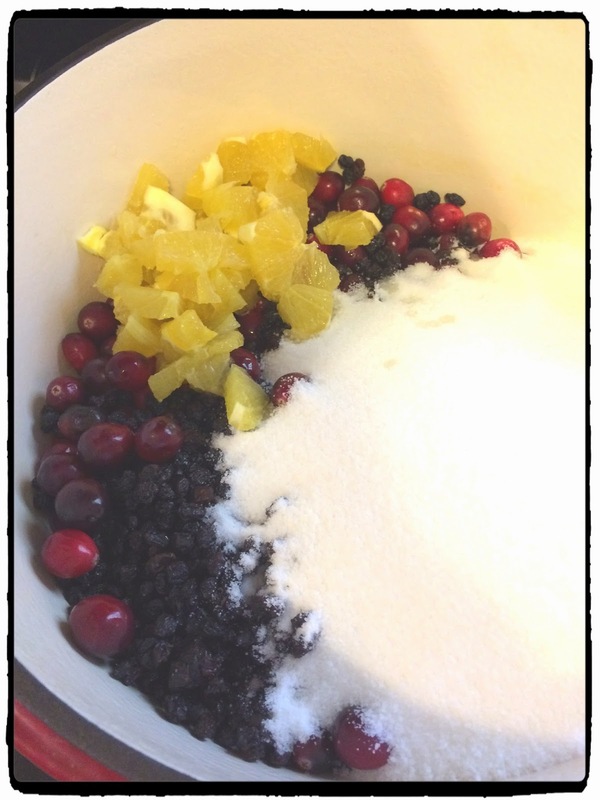 In a large saucepan, mix together the cranberries, sugar, raisins, chopped oranges, and orange juice. Stir well and set over medium heat. 2. Cover and cook over medium for about 10-12 minutes. Stir frequently. Then, remove the cover and increase the temperature to medium-high. 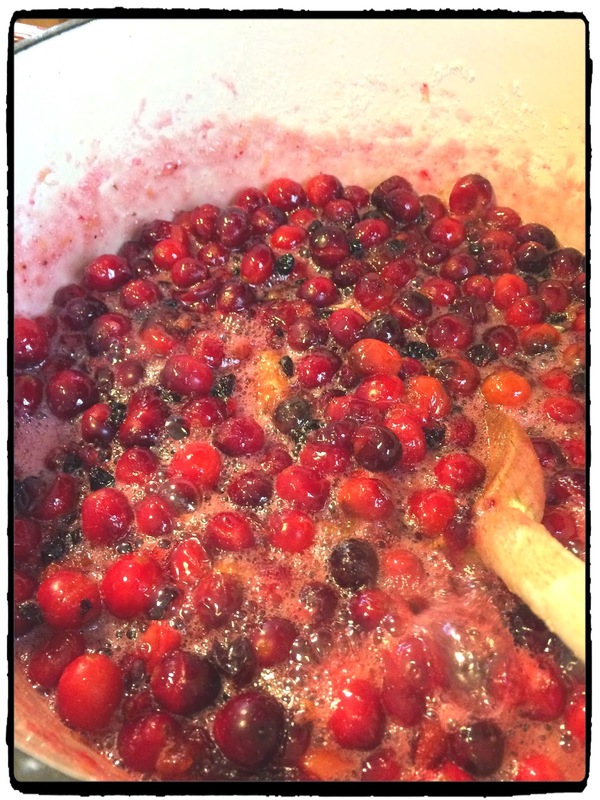 Stir frequently for about 5-10 more minutes, until the cranberries soften and begin to pop. Remove from the heat. 3. 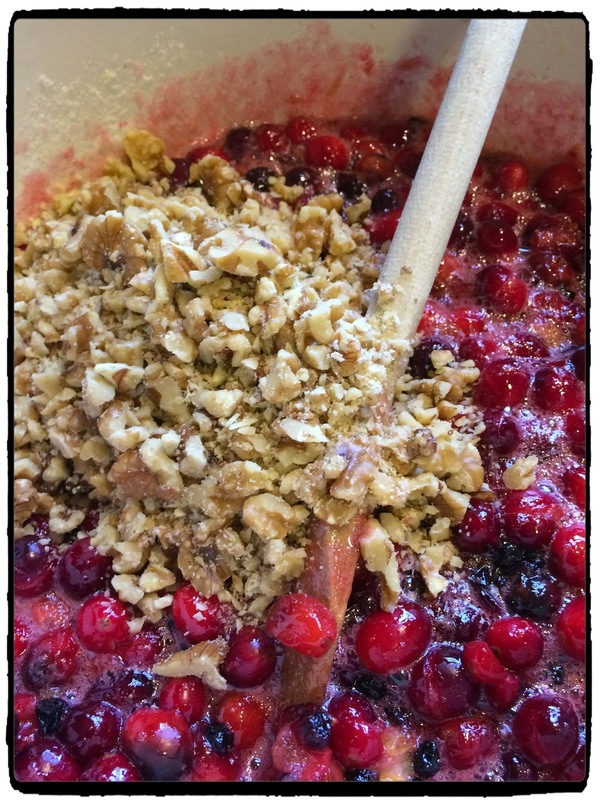 Add the walnuts to the hot cranberry mixture. 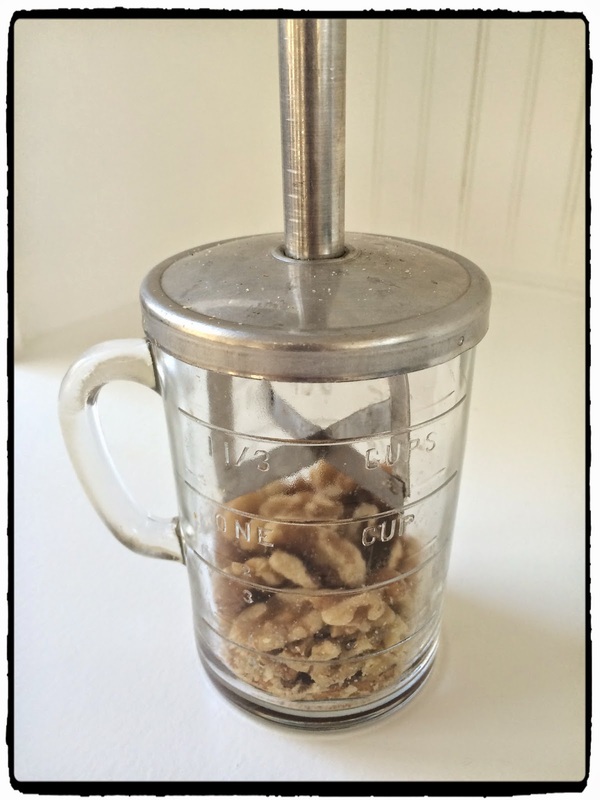 Remember these old nut choppers? 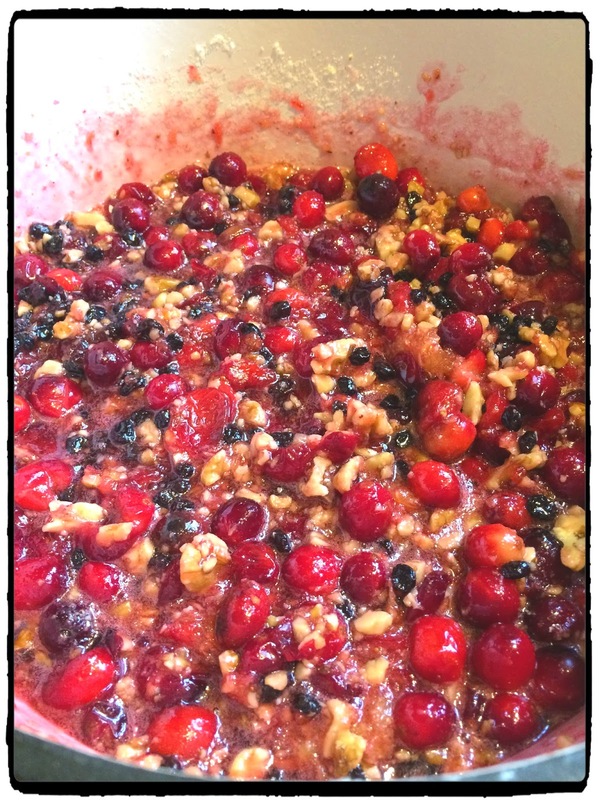 Add the walnuts to the berry mixture. 4. This conserve can be cooled and eaten right away, or you may freeze it or can it using the hot-water bath method for future use. 5. Serve as a condiment for poultry or wild game, or use it to top a baked brie/camembert or to smother a block of cold cream cheese and serve with crackers. You could probably use this as a pie filling, too (maybe with the addition of some chopped apples)--I will have to try that! Labels: Cranberry Conserve, early 20th century recipe, Rufus Estes recipe, Thanksgiving Recipes. Thanks for this - love this kind of thing. Am trying to think of some holiday food items for my parents, who are in assisted living and you know that means just a fridge, microwave, and cupboards! Something to spread on a cracker with cream cheese midafternoon! Making this again this week! So, so good.